Mulching the garden with a thick layer of straw. I really like the idea of setting up a straw bale garden. It would reduce the amount of weeding and watering needed to keep our garden productive. 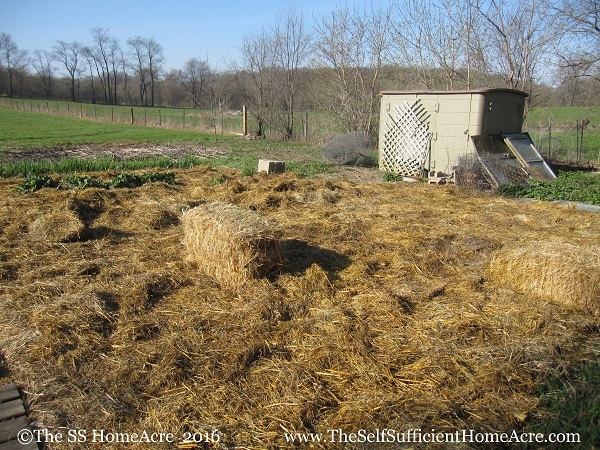 But straw runs around $3 – $5 dollars a bale around here and it would take at least 100 bales to grow the amount of food I am accustomed to harvesting from our intensive bed system. 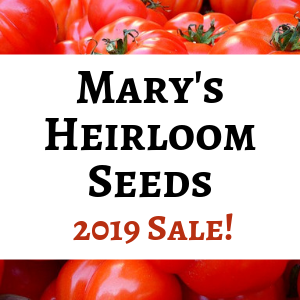 That’s a pretty big investment, even though it would compost down into some amazing garden soil! Luckily, I found a local farmer who doesn’t spray his wheat, so I can add the straw to our garden without worrying that there are persistant herbicides that may kill our plants. I ordered enough straw last fall to use in the chicken coop for the winter and to use some in our garden this spring. 20 bales of hay doesn’t go very far! Straw bale gardens are planted right in the rotting bales of straw, with some soil added to get the baby plants off to a good start. 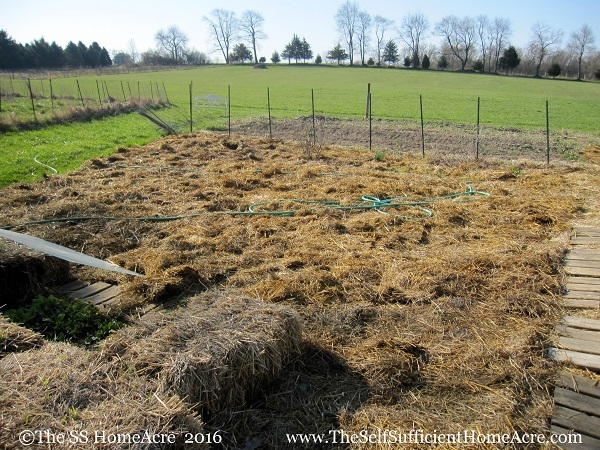 Instead of lining up my bales of straw in the garden and planting directly into the bales, I spread the straw in a deep layer over the soil. When I am ready to plant, I’ll either add a layer of soil over the straw, or I’ll move the straw aside and plant directly into the soil. 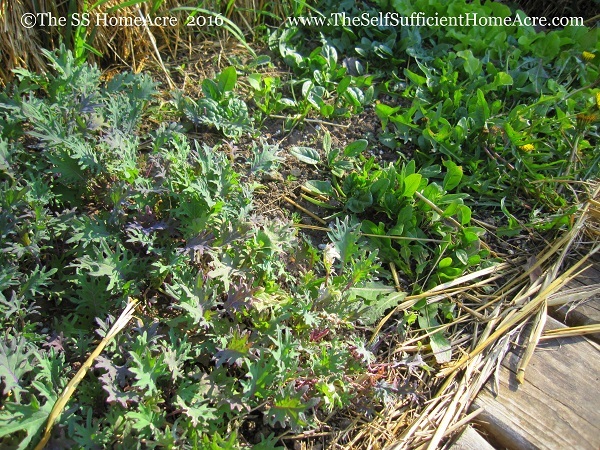 As the seedlings grow, I will mulch them with more straw to keep the weeds under control. Unfortunately, I ran out of straw about halfway through mulching the garden. Either I need to order more, or I will scavenge some from the chicken coop. I’m leaning toward scavenging. My Redneck Straw Bale Cold Frame. I also used five bales of straw to build a redneck cold frame. We are eating our own fresh salads at least a month early, compared to planting greens out in the open. I’m enjoying the baby kale, spinach, and lettuce, along with some foraged dandelions and garlic mustard greens. 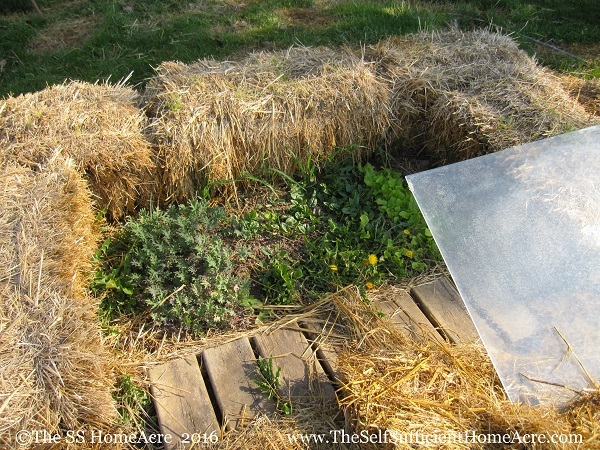 It’s super easy to set up a straw bale cold frame like this. Just use 2 or 3 bales on the north side, and 1 bale for each side, then lean an old window (or a shower door, like mine) against the back bales. Push the side bales in to snug up against the glass, and you’re all set. Be sure to take the glass off when the temps warm up, so you don’t fry your little seedlings. When you are done with the cold frame for the spring, use the straw as mulch in your garden. Straw is a versatile gardening material! Have you ever planted a straw bale garden or used straw to set up a quick and easy coldframe? Do you have any other uses for straw in your garden?